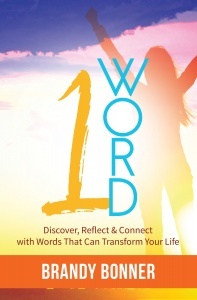 Pre-order your copy of 1 Word: Discover, Reflect & Connect With Words That Will Transform Your Life. All pre-orders from this page will be personally autographed by me, Brandy Bonner. Pre-orders sales end on October 21, 2016. 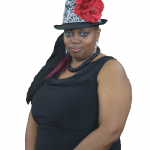 ABOUT THE AUTHOR: Brandy Bonner/Dream Queen is an Author, Speaker, and Coach. She is a California native but has spent her life in Kansas City, Mo. Brandy is known as the “tell it like it is Dream Queen”. She helps people reframe their past, rediscover their dreams, and execute their Dream Life with Intention. She is sought after for being raw, real, and point blankly telling her truth. Brandy is a regular contributor to The Huffington Post, as well as various blogs and podcast. She is currently working to release her memoir next year. Brandy is an avid reader and student of Personal Development. She is a Master Manifestor. She enjoys spending time with her husband and her daughter, whom she homeschools. They enjoy learning, dancing, laughing, and exploring the ways of the Universe together.